We want to thank our sponsors for their generous support of our 2019 event in Ouray, CO! Ouray, Colorado is an acclaimed all-season paradise surrounded by unspoiled wilderness, including the famous San Juan National Forest and Umcompaghre National Forests. It's truly a world-class destination with something for everyone, including one of the best hot springs pools in the west. 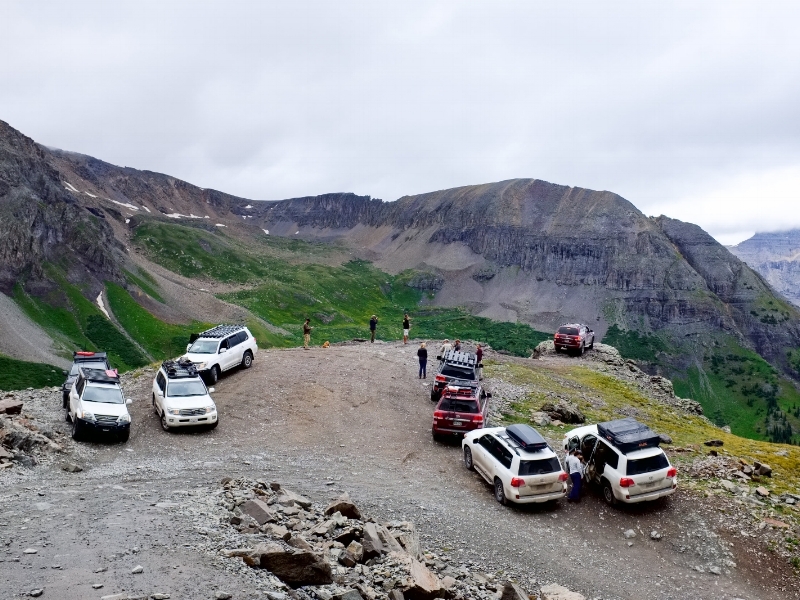 The first 200-Series LCDC was held in 2015 in Ouray followed by the second in 2016. Breckenridge was home in 2017 and then we were back in the San Juans in 2018 when we based out of Telluride. The event has grown in droves over the past two years and pretty much universally folks have been excited at the prospect of another year in Ouray. 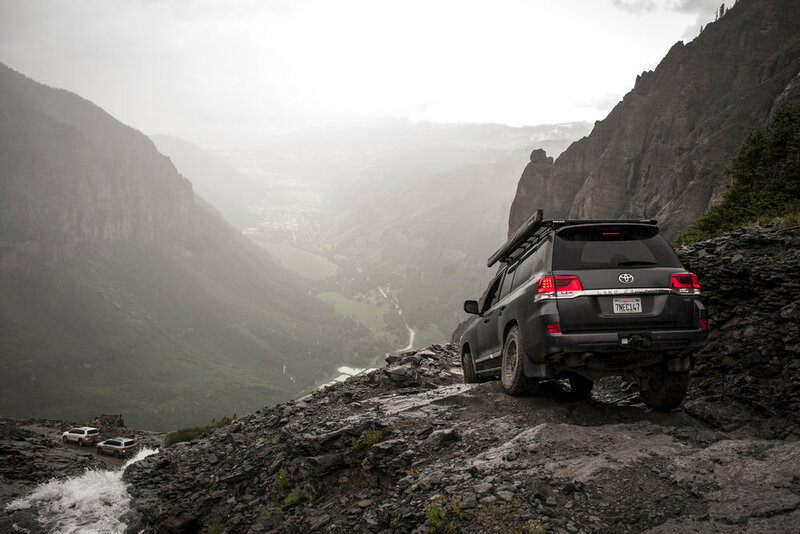 You’ve likely heard of the area’s most famous tracks: Black Bear Pass and the Alpine Loop. While those trails are absolutely world-class there are endless offroad opportunities in the area. Every single trail has something to offer. There's more than enough terrain to explore with our 200s! Aside from celebrating the event’s fifth anniversary, what else can you expect this year? Colorado never disappoints as an offroad destination. The scenery is some of the best in the world, the trails are well-maintained, and every adventure leaves the traveler with memories for a lifetime. Our first events primarily focused on covering as much ground trail-wise as possible during the event. This past year we started to get more feedback from folks that we honestly took as a pleasant surprise: people want a slightly more relaxed pace in order to have more time to get to know others in the group, explore the area and town, talk shop, see trucks, and engage with sponsors. We've taken this feedback to heart and will factor it into our planning for this year's event. You should expect trail plans that include time to enjoy the scenery, take pictures, maybe go on a hike, and enjoy lunch at an old mine. At the same time, we will certainly accommodate those who prefer a more aggressive schedule in order to hit as many trails as possible. Overall, we will be very mindful of striking the right balance among prescriptive planning, relaxation, and spontaneity. Check out the trail descriptions where we describe the route, trails, time, etc. We've assembled the area's most classic itineraries into 7-8 options that provide variability in terrain, difficulty level, pace, and scenery. Groups are more than welcome to modify our recommendations as there are certainly decisions that are easy enough for the group to make the day of. There is no official process for "signing up" for groups each day. All groups will leave from Rincon Park each morning and if a group happens to get too big, we'll ask the group to stagger its departure a bit. Each group can be no larger than 10 200's. No exceptions. To be absolutely clear, all you need to do is show up at the meeting spot and be ready to go by the time outlined below. That means you should try to get your coffee, food, drinks, gas, etc. ahead of time. That said, we may identify group leaders in advance so that you may be able to reach out to the group's leader in extenuating circumstances. Most trails will be fine for stock vehicles that are in good working order. The purpose of the Land Cruiser Destination Club (LCDC) is simple: to enjoy amazing places with our 200-Series Land Cruisers. The inaugural event was a trip to Ouray, CO in 2015 followed by a second annual trip to Ouray during the summer of 2016. The group descended upon beautiful Breckenridge, CO for our third annual event in August of 2017. In 2018 we hit Telluride and are currently looking forward to being back in Ouray in 2019. Questions? Email us at info@200lcdc.com.